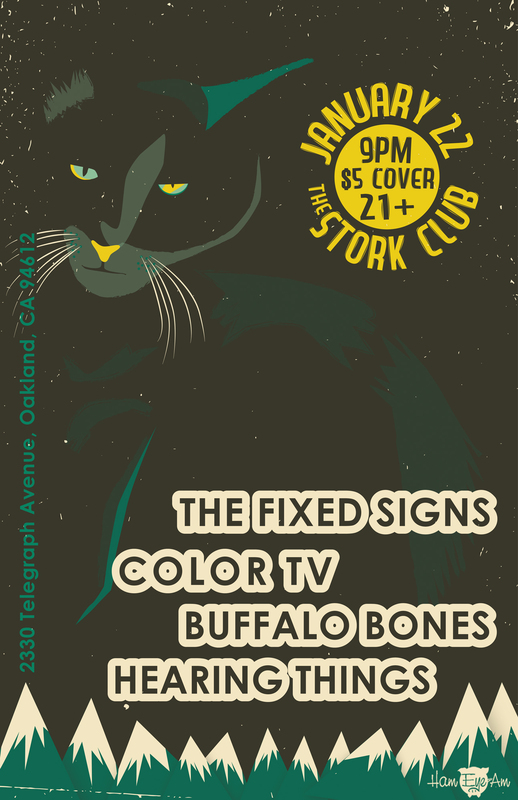 The Fixed Signs are playing a show this Thursday Night!!! With only one night to create this flyer I was only given two main elements to use…Color and a cat. So this is the end result. It was done super fast, but I feel it is very effective for the vibe of the four bands that will be playing that night. Now that I know I can make band flyers if anyone is interested in one just go to the contact page, fill in as much information as possible about what you need and I will send a quote asap. Also go and see the show!!!! !